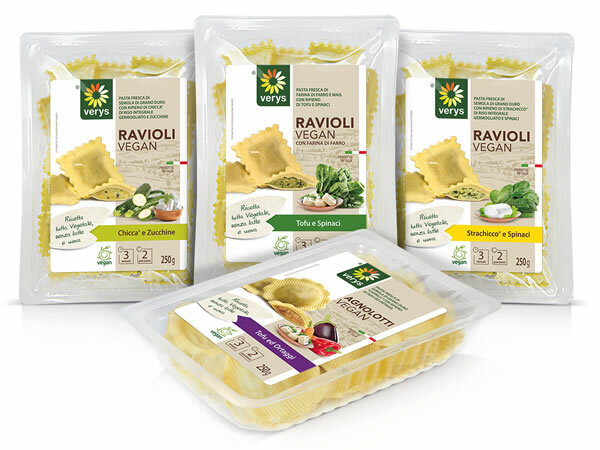 The taste of the traditional Italian pasta, made with durum wheat and spelt that hold 4 different fillings. This line is perfect for your quick meals and also for your family dinners. 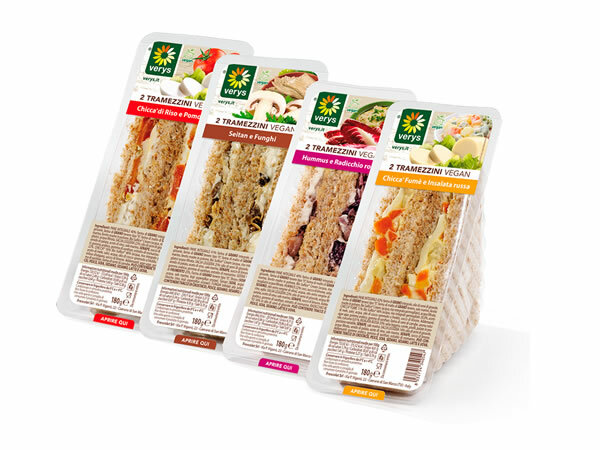 A new range of frozen products created for people always on the go, without compromising quality and taste, and with a particular attention dedicated to people with food intolerances! 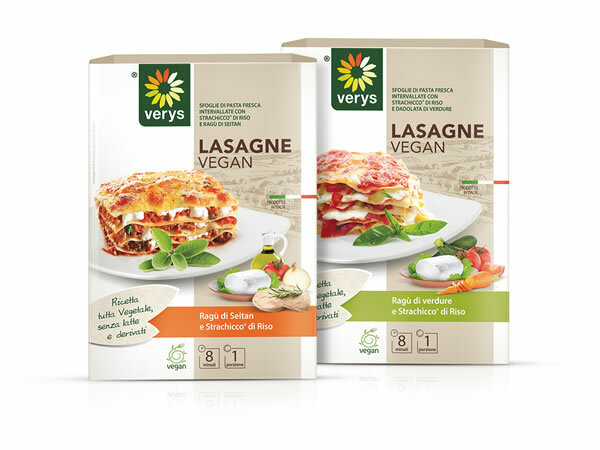 Ready to eat Lasagna, tasty and light at the same time, respecting the Italian tradition and paying attention to health. The béchamel is milk and butter free, and the pasta doesn’t contain eggs. 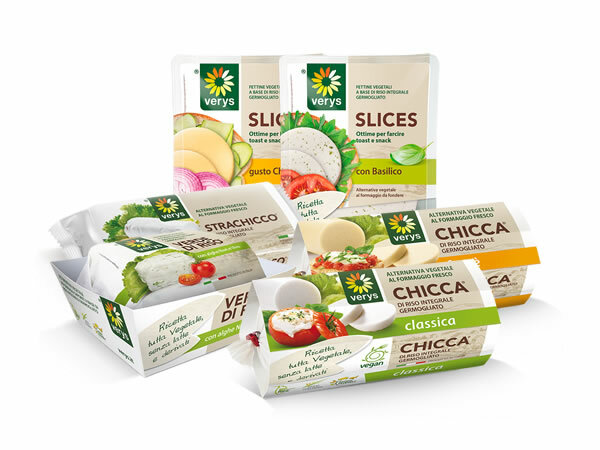 100% Vegetarian alternative to milk and animal derivatives. Delicious, Tasty and Delicate. Their production begins with the whole rice germination process. 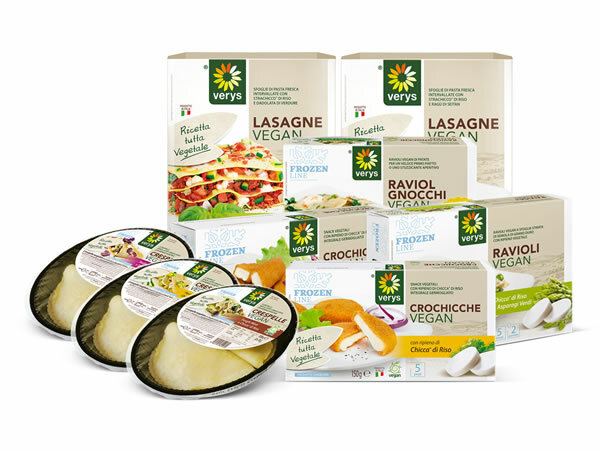 Verys' snacks are perfect for a quick, but healthy bite.